For those who don't know, 8 Seconds is the length of time one has to remain on the back of bucking bull in the bull riding event at a rodeo. 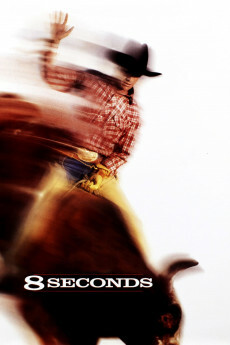 I'm sure that those cowboys feel that those 8 seconds are like an eternity. This picture is about one of the very best at his profession, Lane Frost. 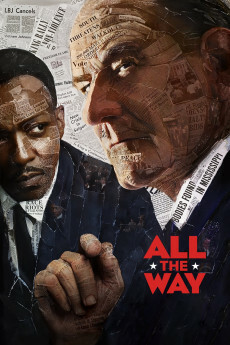 The three principal players at the time this film was made, Luke Perry(Beverly Hills 90210), Stephen Baldwin(The Young Riders) and Cynthia Geary(Northern Exposure) were all at the height of exposure from popular television series' and brought a built in audience to the show. 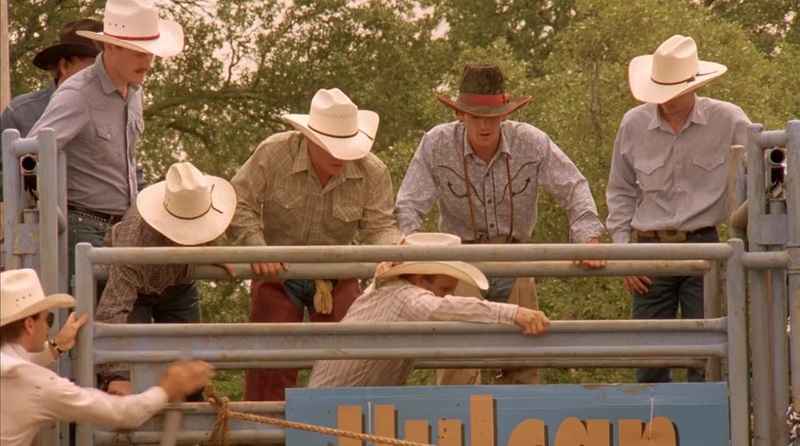 It helps by the way that Luke Perry bears an absolutely uncanny resemblance to the real Lane Frost. During the end credits there is some interview footage with the real Lane Frost so I'm sure there were a lot of oohs and aahs from the audience as the movie ended. I remember reading about Luke Perry and that his background before he became a teen heart throb was from a really tiny Ohio town. I'm sure that Perry understood the character of Lane Frost very well who hailed from a small town in Oklahoma. This film now joins other good movies about the rodeo scene, like The Lusty Men and Junior Bonner. Only difference is this one had an actual rodeo champion as a hero/protagonist. The portrayal of Lane Frost was as genuinely nice young man who rose to the top of his chosen profession through, skill, hard work, and dedication. He was doing as so few of us are privileged to do, actually make money doing what he loved. He gained a celebrity status in his field and was prey to the temptations that accompany fame. The Lane Frost, Perry gives us is a man who was very human. Doesn't detract in the least from his accomplishments. Cynthia Geary is fine as the wife who wins, loses, and wins Perry back ultimately. She's also rodeo people, the real Mrs. Frost was a barrel racing champion. 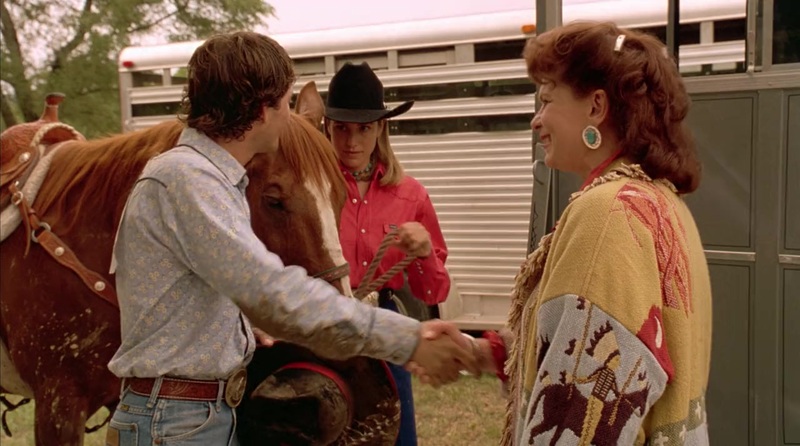 And Stephen Baldwin as Tuff Hedeman who was Frost's best friend and eventual successor as bull riding champion registers well in his role. In 1994 the very year that 8 Seconds came out, professional bull riding spun out on its own as a sport with the formation of the Professional Bull Riders. It's champion in 1995 was none other than Tuff Hedeman. And in 1996 Tuff Hedeman and Lane Frost with both inducted in the PBR Ring of Honor, the equivalent of their Hall of Fame. It's a good biographical picture and should have gotten much more attention than it did. This is a great sports movie. And frankly, I think it's better than John Avildsen's other sports movie, Rocky (1976) http://www.imdb.com/title/tt0075148/combined . A story about a country boy turned world champion bullrider. It is about time, is all I can say. Lane Frost was a great cowboy, and he died doing what he loved. I have watched the real thing, and these boys deserve some real credit out there, doing what there doin. I just hope that some of the proceeds of this film went to the cowboys who need it. When Lane Frost died, a big part of PBR died along with him. I salute him for what he loved to do. 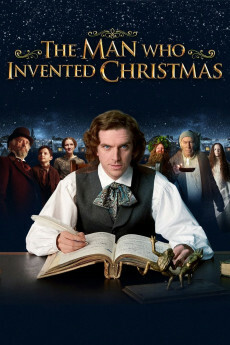 At my school, we always watched this movie in our FFA class. It is definitely a favorite of mine, because, for one thing, it is much better than a lot of westerns you see these days. This movie is also a great love story between Lane and his wife, Kellie. If you love westerns, or romance movies, this one here is for y'all. I give it 9 of 10.